"history will absolve me ..."
From We Didn't Know Any Gangsters (Cherry Castle Publishing, 2014). Brian Gilmore is a poet, writer, public interest attorney, and columnist with the Progressive Media Project. He is a Cave Canem Fellow (1997), Kimbilio Fellow (2014), Literature Fellow for the D.C. Commission on Arts and Humanities (1997), Pushcart Prize nominee (2007), and winner of the Maryland State Arts Council's Individual Artist Award (2001 and 2003). 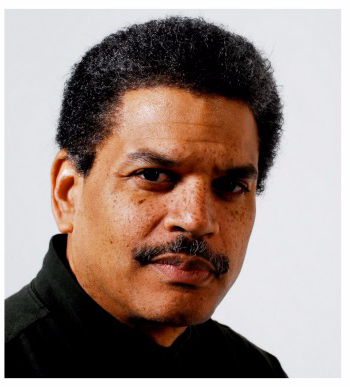 Gilmore has been a contributing writer for Ebony-Jet.com, and JazzTimes Magazine. He is the author of three collections of poetry: elvis presley is alive and well and living in harlem, Jungle Nights and Soda Fountain Rags: Poem for Duke Ellington & the Duke Ellington Orchestra and his latest We Didn't Know Any Gangsters. His poems and writings are widely published and have appeared in The Progressive, The Washington Post, The Baltimore Sun, and many other publications. He teaches law at the Michigan State University College of Law, where he lectures and writes on contemporary issues relating to housing and economic inequality, dividing his time between Michigan and Washington, D.C. Please feel free to share Split This Rock Poem of the Week widely. We just ask you to include all of the information in this post, including this request. Thanks! If you are interested in reading past poems of the week, feel free to visit the blog archive.